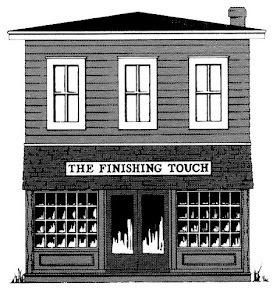 And we have the perfect thing to stitch for both. 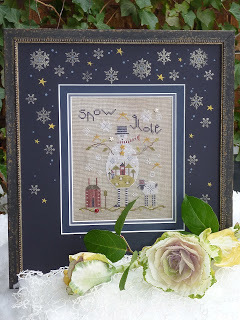 Shepherd’s Bush has introduced the adorable GREY SNOWMAN kit stitched on none other than grey linen with his little lamb sidekick and snow globe body. Delightful. 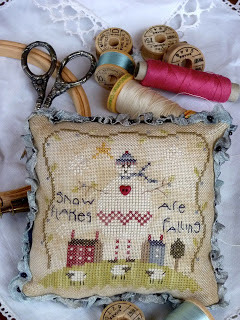 SNOWFLAKES PIN CUSHION is a companion for Grey Snowman and includes a variety of silks and over-dyed fibers. This snowman even boasts a little red heart on his chest. 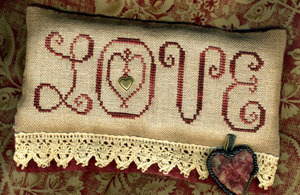 The sweet WONDROUS LOVE design from Homespun Elegance is great for Valentine’s Day but certainly is also appropriate for any day of the year. 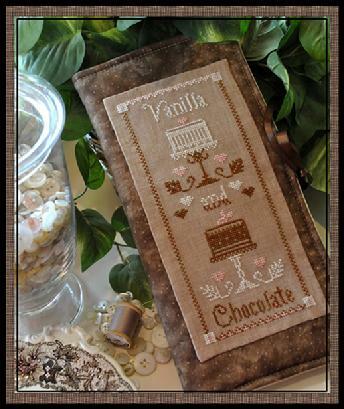 From Little House Needleworks, VANILLA AND CHOCOLATE has the feel of a Valentine but would be great for birthdays, parties, showers and a multitude of other events. The cakes look so delicious. 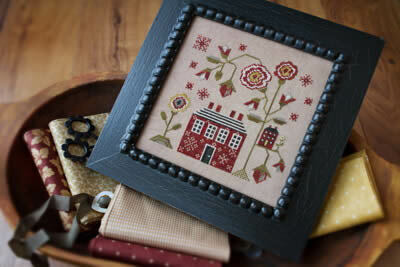 Red is the color to warm February and A RED COTTAGE is the perfect little design to make us think of warm spring days and beautiful red flowers. The cutest little cottage ever! 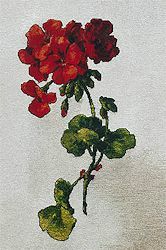 GERANIUMS is the latest addition to The Silver Lining collection of beautifully detailed flowers. Stitched on Sandstone linen from Crossed Wing Collection, the shading in this blossom makes you want to touch it. 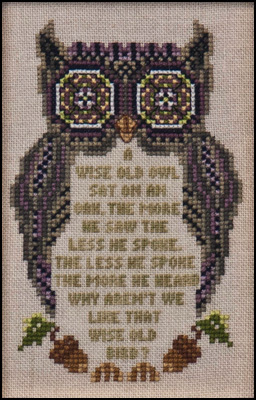 WISE OLD OWL, from Just Nan, is stoic and watchful and filled with sage advice. Remember – mark your calendar for MARKET SUNDAY on March 10, 2013.